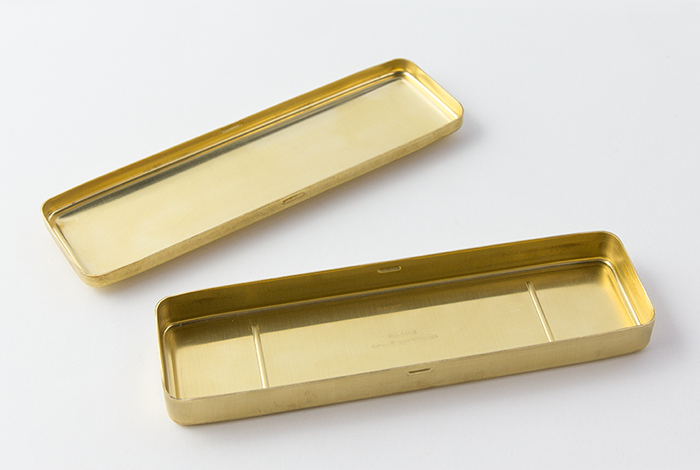 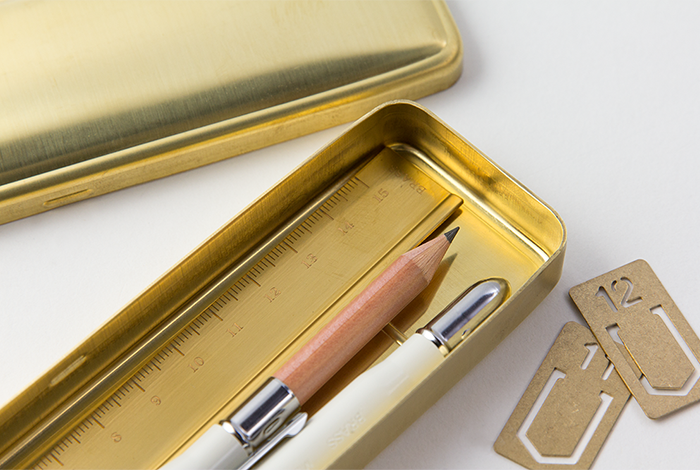 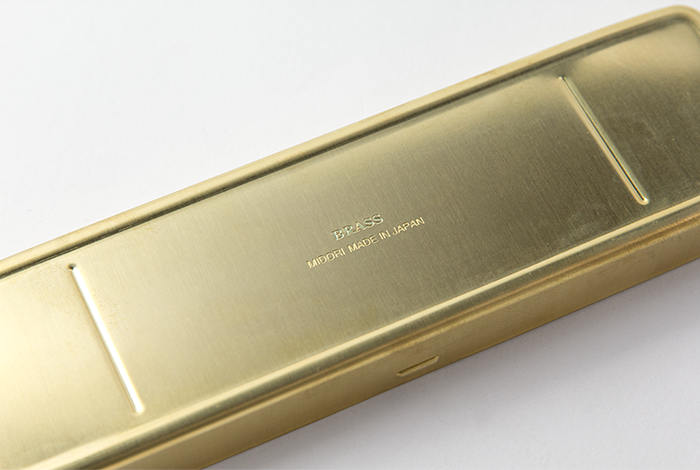 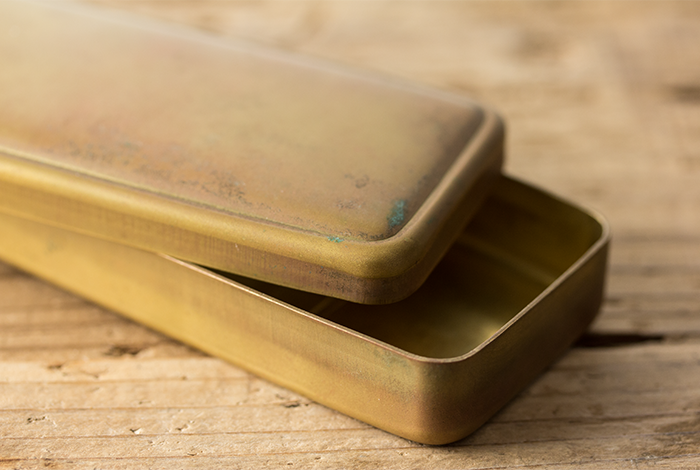 This is a pen case made through pressing a pure brass plate. 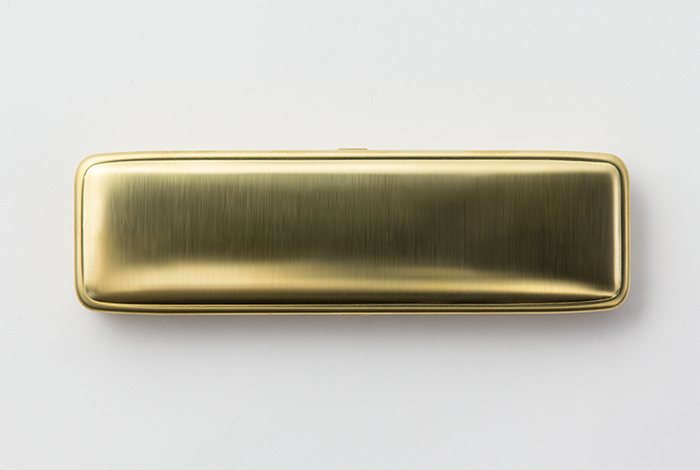 The curves applied on the body resembles a body of a vintage car, and this is made possible through the experience a craftsman in Tokyo acquired through a long peri-od of time. 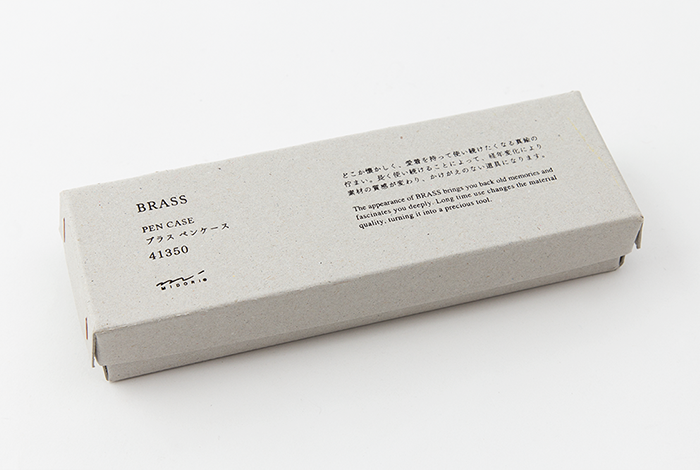 Please use this product for a long time and enjoy the beautiful change the material goes through. 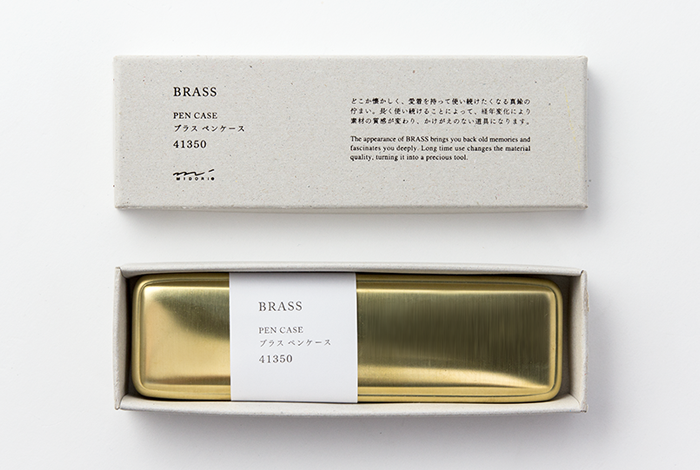 Through its use, the surface starts to oxidize, and this deepens the color and adds taste to the material itself.